A team of researchers investigated the molecular mechanisms behind oligodendrocyte progenitor cell proliferation in neonatal hypoxia. Hypoxia, or a lack of oxygen, is a major cause of diffuse white matter injury (DWMI). This condition leads to permanent developmental disabilities in prematurely born infants. The long-term abnormalities of the brain’s white matter that characterize DWMI are caused by the loss of a specific type of cells known as oligodendrocytes, which support nerve cells and produce myelin, a lipid and protein sheath that electrically insulates nerve cells. 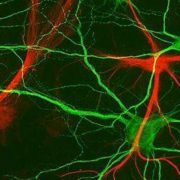 Oligodendrocytes are produced by a population of immature cells known as oligodendrocyte progenitor cells (OPCs). Previous research has shown that hypoxia can trigger OPCs to proliferate and presumably produce new oligodendrocytes. The molecular pathways that hypoxia triggers to make new OPCs remain unclear. 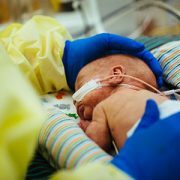 A team of researchers led by Vittorio Gallo, Ph.D., director of the Center for Neuroscience Research and the Intellectual and Developmental Disabilities Research Center at Children’s National Health System, investigated the molecular mechanisms behind what prompts OPCs to proliferate in a preclinical model of neonatal hypoxia. The researchers found that a molecule known as Sirt1 acts as a major regulator of OPC proliferation and regeneration. Sirt1 is a sirtuin, a class of molecules that has attracted interest over the past several years for its role in stem cells, aging and inflammation. Hypoxia appears to induce Sirt1 formation. When the researchers prevented brain tissues in petri dishes from making Sirt1 or removed this molecule in preclinical models, these actions prevented OPC proliferation. 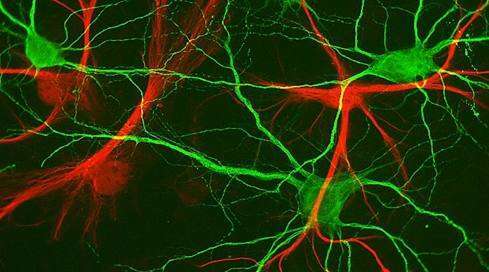 What’s more, preventing Sirt1 production also inhibited OPCs from making oligodendrocytes. These findings suggest that Sirt1 is essential for replacing oligodendrocytes to repair DWMI after hypoxia. Additionally, finding ways to enhance Sirt1 activity eventually could provide a novel way to help infants recover after hypoxia and prevent DWMI. Q: How can Sirt1 activity be enhanced in preclinical models and humans? Q: Can deficits triggered by diffuse white matter injury be prevented or reversed with Sirt1? Q: Which other treatments might be useful for diffuse white matter injury? Source: “Sirt1 regulates glial progenitor proliferation and regeneration in white matter after neonatal brain injury.” Jablonska, M., M. Gierdalski, L. Chew, T. Hawley, M. Catron, A. Lichauco, J. Cabrera-Luque, T. Yuen, D. Rowitch and V. Gallo. Published by Nature Communications on Dec. 19, 2016. The sirtuin protein Sirt1 plays a crucial role in the proliferation and regeneration of glial cells from an existing pool of progenitor cells — a process that rebuilds vital white matter following neonatal hypoxic brain injury. Although scientists do not fully understand Sirt1’s role in controlling cellular proliferation, this pre-clinical model of neonatal brain injury outlines for the first time how Sirt1 contributes to development of additional progenitor cells and maturation of fully functional oligodendrocytes. The findings, published December 19 in Nature Communications, suggest that modulation of this protein could enhance progenitor cell regeneration, spurring additional white matter growth and repair following neonatal brain injury. The study team identified Sirt1 as a novel, major regulator of basal oligodendrocyte progenitor cell (OPC) proliferation and regeneration in response to hypoxia in neonatal white matter, Gallo and co-authors write. “We demonstrate that Sirt1 deacetylates and activates Cdk2, a kinase which controls OPC expansion. We also elucidate the mechanism by which Sirt1 targets other individual members of the Cdk2 signaling pathway, by regulating their deacetylation, complex formation and E2F1 release, molecular events which drive Cdk2-mediated OPC proliferation,” says Li-Jin Chew, Ph.D., research associate professor at Children’s Center for Neuroscience Research and a study co-author. Hypoxia-induced brain injury in neonates initiates spontaneous amplification of progenitor cells but also causes a deficiency of mature oligodendrocytes. Inhibiting Sirt1 expression in vitro and in vivo showed that loss of its deacetylase activity prevents OPC proliferation in hypoxia while promoting oligodendrocyte maturation – which underscores the importance of Sirt1 activity in maintaining the delicate balance between these two processes. 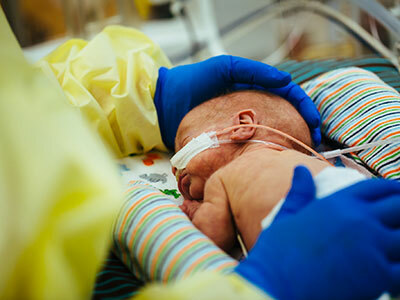 The tantalizing findings – the result of four years of research work in mouse models of neonatal hypoxia – hint at the prospect of lessening the severity of developmental delays experienced by the majority of preemies, Gallo adds. About 1 in 10 infants born in the United States are delivered preterm, prior to the 37th gestational week of pregnancy, according to the Centers for Disease Control and Prevention. Brain injury associated with preterm birth – including white matter injury – can have long-term cognitive and behavioral consequences, with more than 50 percent of infants who survive prematurity needing special education, behavioral intervention and pharmacological treatment, Gallo says. Time is of the essence, since Sirt1 plays a beneficial role at a certain place (white matter) and at a specific time (while the immature brain continues to develop). “We see maximal Sirt1 expression and activity within the first week after neonatal brain injury. There is a very narrow window in which to harness the stimulus that amplifies the progenitor cell population and target this particular molecule for repair,” he says. Sirt1, a nicotinamide adenine dinucleotide-dependent class III histone deacetylase, is known to be involved in normal cell development, aging, inflammatory responses, energy metabolism and calorie restriction, the study team reports. Its activity can be modulated by sirtinol, an off-the-shelf drug that inhibits sirtuin proteins. The finding points to the potential for therapeutic interventions for diffuse white matter injury in neonates. Next, the research team aims to study these processes in a large animal model whose brains are structurally, anatomically and metabolically similar to the human brain. “Ideally, we want to be able to promote the timely regeneration of cells that are lost by designing strategies for interventions that synchronize these cellular events to a common and successful end,” Gallo says.